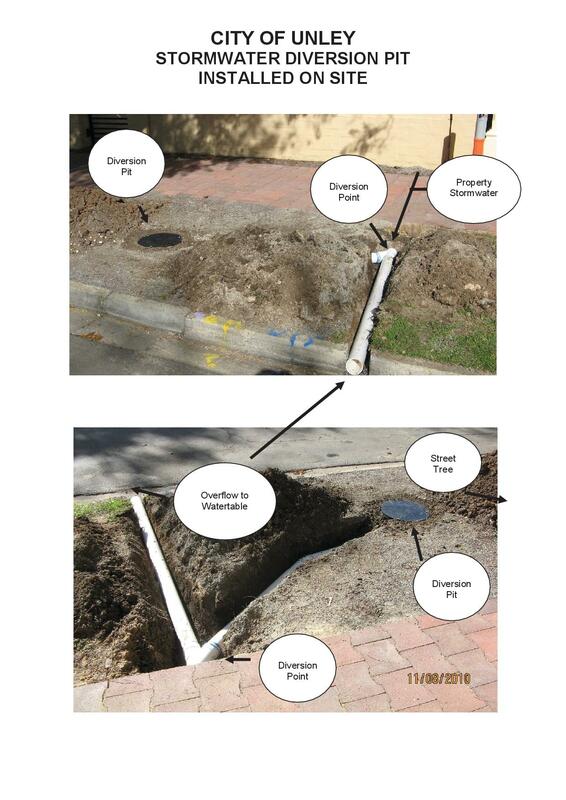 Don Palmer, Councillor for Clarence Park Ward, City of UnleyStormwater Diversion Pits being installed in Cromer Parade. 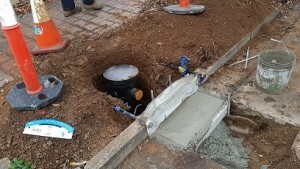 Don Palmer, Councillor for Clarence Park Ward, City of UnleyStormwater Diversion Pits being installed in Cromer Parade. I ventured out today to witness the installation of some 28 stormwater diversion pits being installed in Cromer Parade. I was motivated to do this after having recently been asked questions about stormwater diversion pits in nearby Ormond Avenue. I also sought confirmation from our staff that my understanding was correct. Council is keen to take every opportunity to find ways of using the stormwater that we collect from our homes or the street to help water our street trees. If successful this means a reduced cost to ratepayers of maintaining our street trees. The pit is a small water holding tank below ground in the nature strip which collects storm water from either the property or from the street watertable. The idea is to capture water from the property stormwater outlet and divert this water to a permeable pit in the nature strip. Once the pit is full the excess stormwater diverts to the street watertable. Another version of a stormwater diversion pit collects stormwater from the street and treats it similarly. The pit water slowly dissipates into the nature strip sub-soil. This then feeds adjacent trees. The following diagram hopefully explains it better.